Center in Mission Hills, CA surrounded by his family. Ventura, CA. 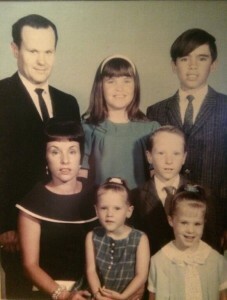 He was the youngest of 4 boys; his brothers were Herb, Gerald, and Ron. 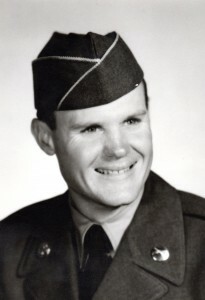 transferred to Nordhoff High School in Ojai, CA where he graduated in 1950. 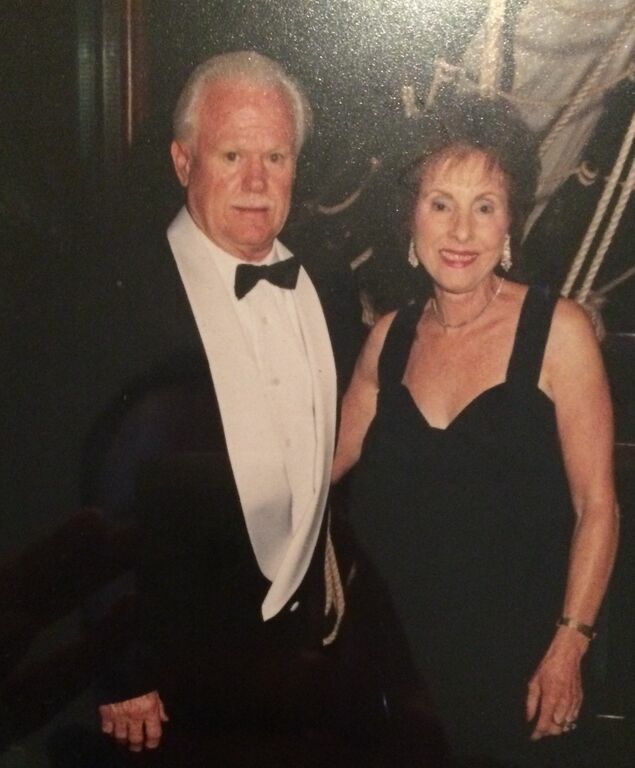 During Monte’s senior year of high school, his mother passed away and eventually his father married Beulah. While Monte attended high school, he started his grocery career at Ojai Valley Grocery. 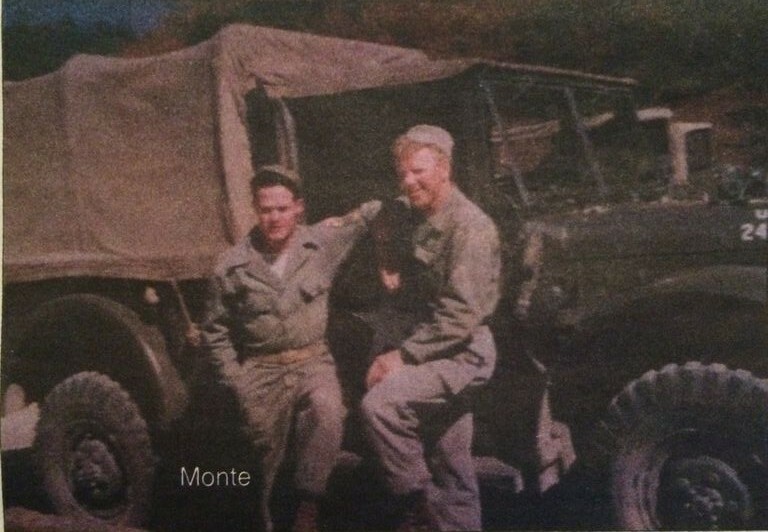 After spending many years in the grocery business Monte was drafted into the United States Army where he served as a frontline cook in the Korean War. 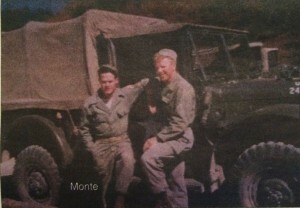 When he was honorable discharged, Monte returned to Ojai, CA where he continued his grocery career at Ojai Valley Grocery. As a hobby, he was an avid drag racer with his corvette in Santa Maria, CA. 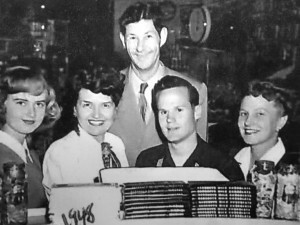 Monte owned the first corvette in Ventura in 1955. He was part of the Williams Brothers racing team, who, in 1954 set a world land speed record at Bonneville Salt Flats for B/Roadsters. Monte was absent, having just returned from Korea with no desire to camp out for a week on the salt flat. America in Ojai. Monte and Cora married after a year long courtship on October 13th in Las Vegas, NV at The Little Chapel Around the Corner. After Monte and Cora were married, he continued his grocery career working for Nason Tobey at Tobey’s Market. Monte and Cora raised their five children: Marty, Lorie, Larry, Lisa, & Mona in Ojai. In 1969, Tobey offered Monte an opportunity to further his career by moving to Bishop, CA to work at Joseph’s Bi-Rite Market. Monte decided to relocate his family to Bishop, one of the family’s favorite vacationing spots. Monte worked as a grocery clerk for Tobey until he and Cora purchased Joseph’s Bi-Rite Market in May 1976. Over the course of their ownership, all five children, most of the children’s spouses, and most of the grandchildren have worked at the market. organizations such as The Salvation Army, The Bishop Little League, Eastern Sierra Softball, AYSO, the local schools, the Boys & Girls Scouts of America, charity runs/walks, 4-H & FFA, The Elks Club and the NIH Ladies Auxiliary. Monte also really enjoyed his corvettes and driving in the Bishop Homecoming ceremonies at Bishop Union High School. many cruises, some of which included with Unified Grocers Members, and trips. 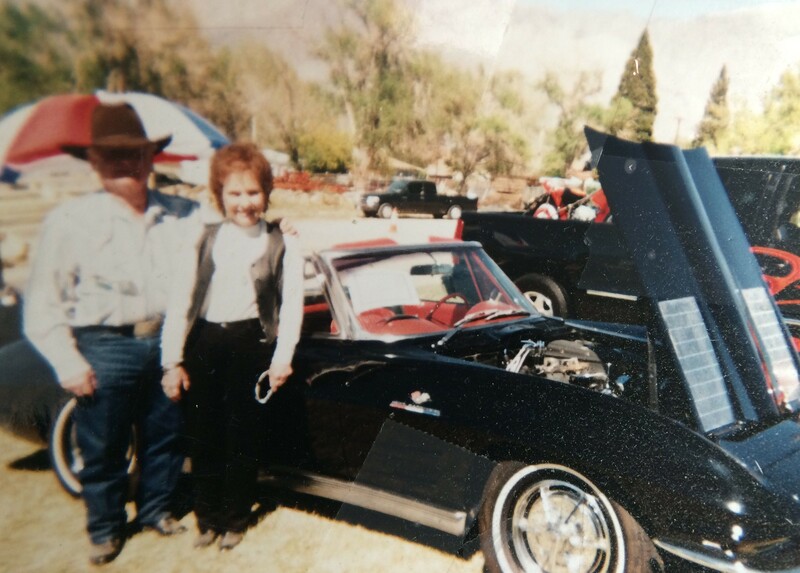 One of Monte’s favorite yearly trips included going to Reno for Hot August Nights, he loved seeing all the different classic cars. Monte also looked forward to his one day off a week, Sundays, to relax at home and enjoy brunch on his back patio with Cora, his Dolly. Monte instilled the importance of family, honesty, trust, hard work, and lived that to his fullest until the day he passed. Monte was a loving husband, father, father-in-law, grandfather, great-grandfather, uncle, brother, and friend. 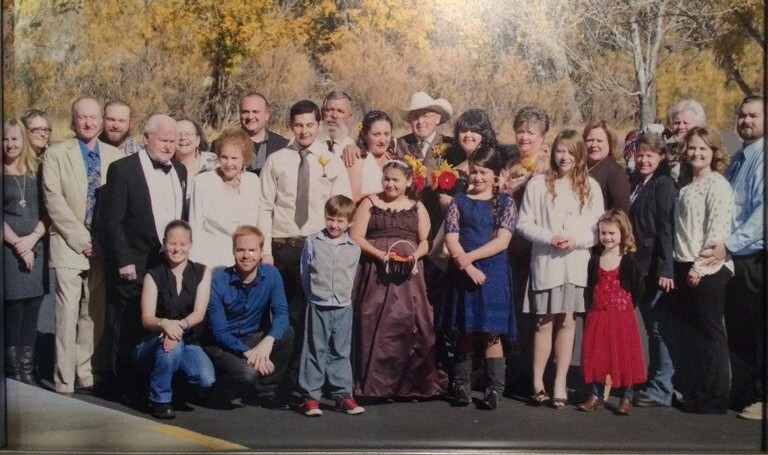 Daughter Mona & her husband Pedro Velazquez, their children Miranda Curtis, Connie, Abby, & Brenton Velazquez. 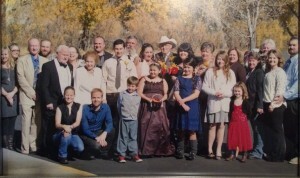 Sister-in-law Katie Williams, Brother-in-law Bill Hamby and many nieces and nephews. Mortuary, 325 W. Elm St, Bishop, CA. The service is on Saturday, November 28th at 11:00am at The First United Methodist Church, 205 N Fowler, Bishop, CA with a grave side at East Line Street Cemetery with a Celebration of Life to follow. The family thanks you for your attendance. 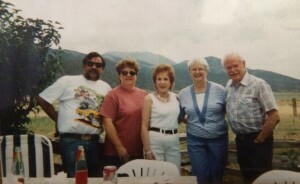 In lieu of flowers, the family requests donations be made in honor of Monte to Northern & Southern Inyo Hospitals Ladies Auxiliary’s Equipment fund. I will forever remember as a little kid helping Monte put up his Christmas lights and his famous Maroon Ford truck. He also gave me a job in high school, Monte was a great man and neighbor. I will always have fond memories of him. Condolences to the Williams family for your loss. Will miss seeing you Monty , Will miss your Smile at Josephs and will miss you Tooling down line street in your Shortbed Ford pickup truck in the morning . Bishop has lost a piece of its Personality with your passing .